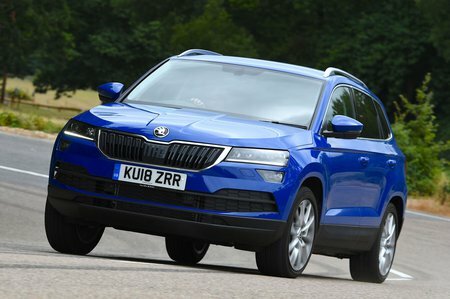 Skoda Karoq 2.0 TDI Edition 4x4 5dr 2019 Review | What Car? What Car? will save you at least £1,776, but our approved dealers could save you even more. The top trim level adds 19in wheels, a panoramic roof, electrically adjustable front seats with memory, leather upholstery, a 9.2in infotainment system, wireless phone charging, lane assist, blindspot monitoring and an electrically operated tailgate. It’s only available with the more powerful engines, making it quite expensive.